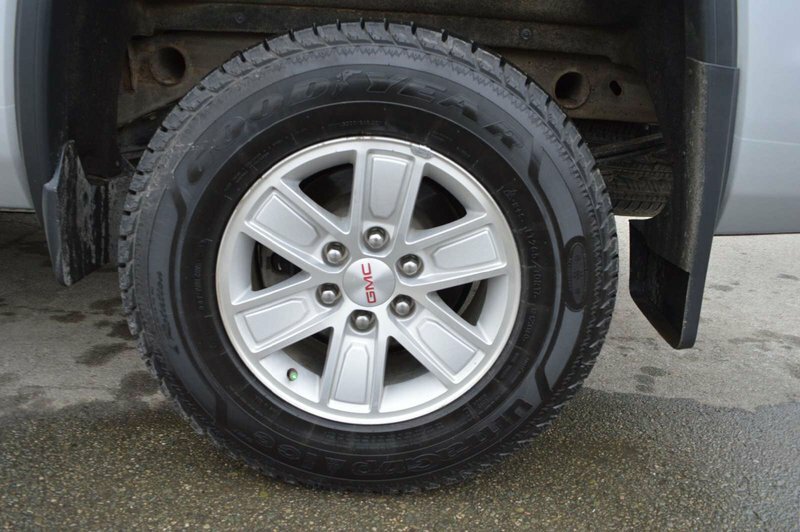 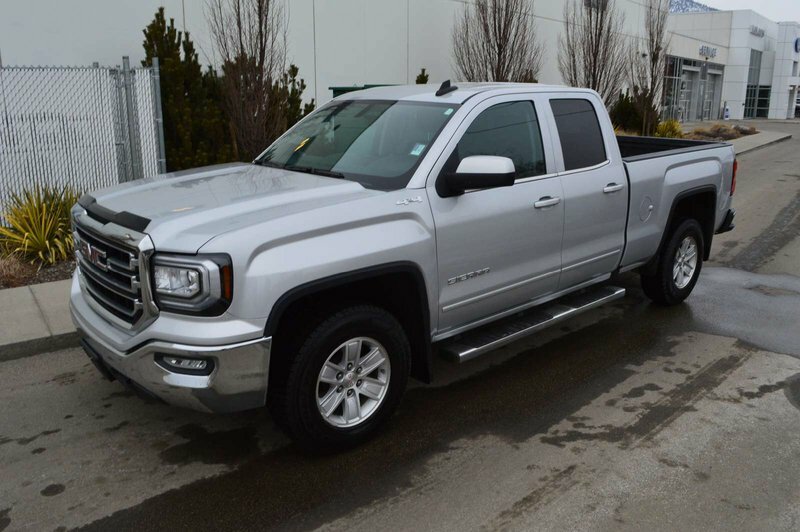 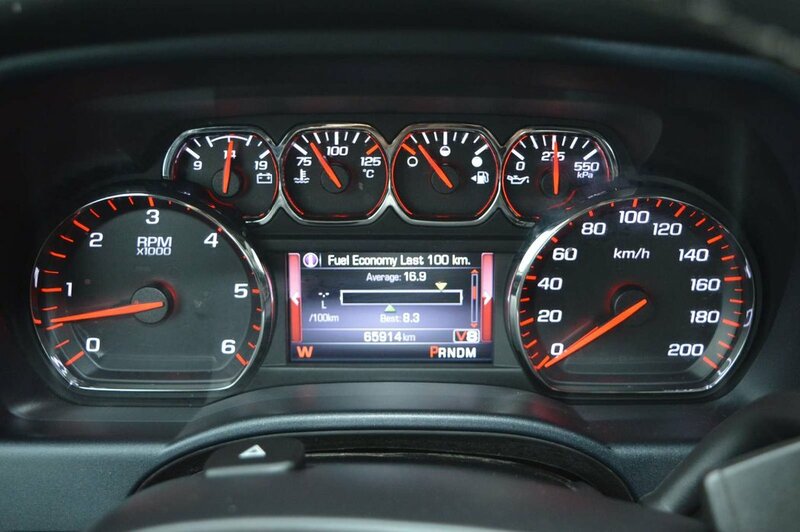 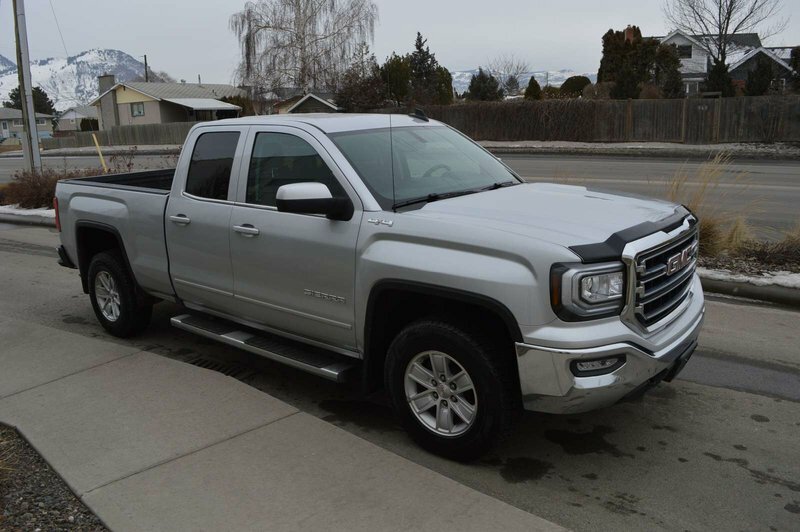 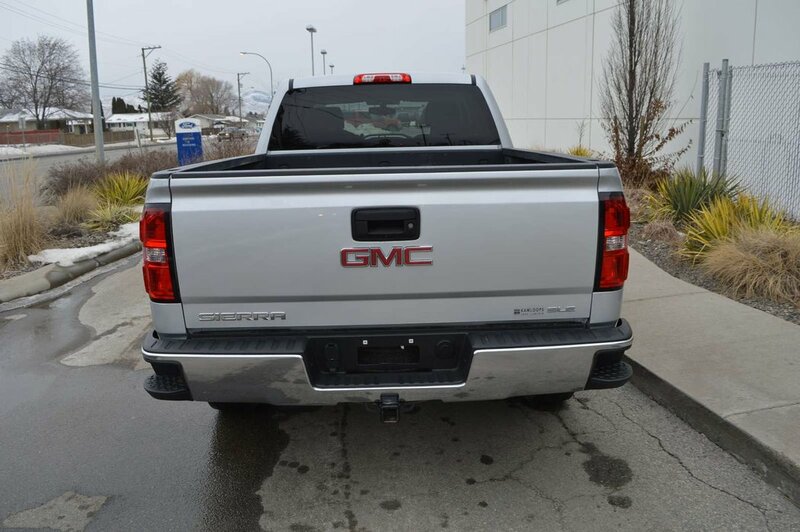 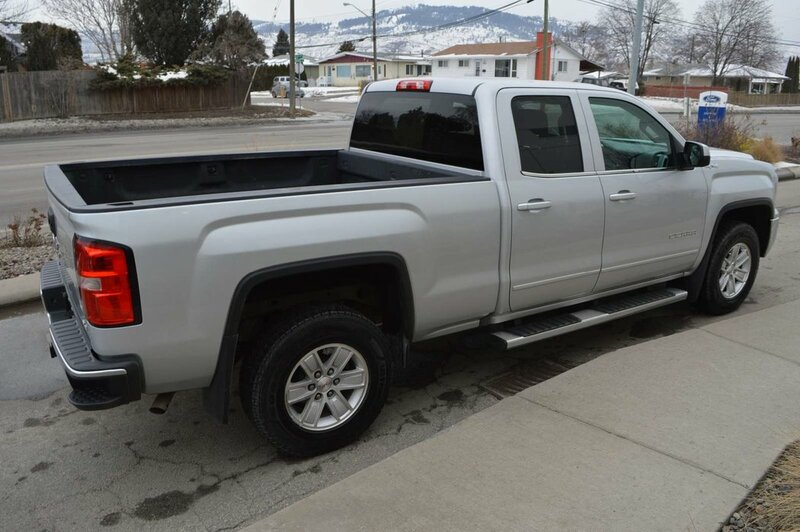 Get behind the wheel of our 2016 GMC Sierra SLE 1500 Double Cab 4X4 proudly presented in Quicksilver. 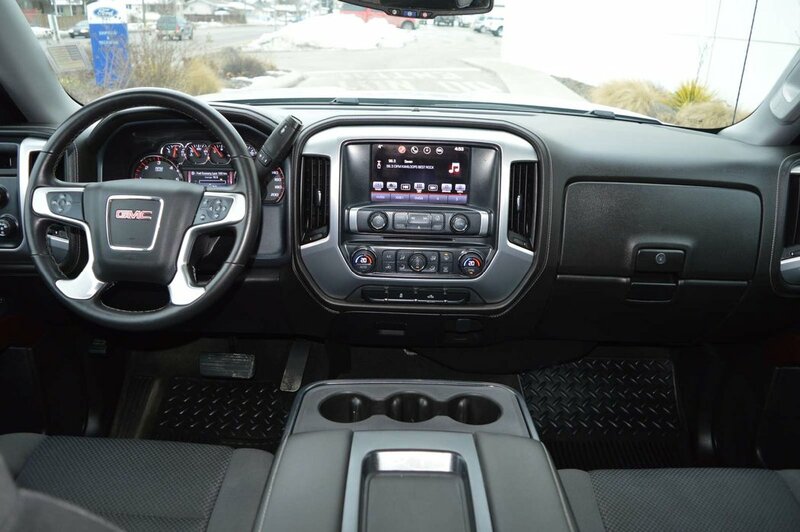 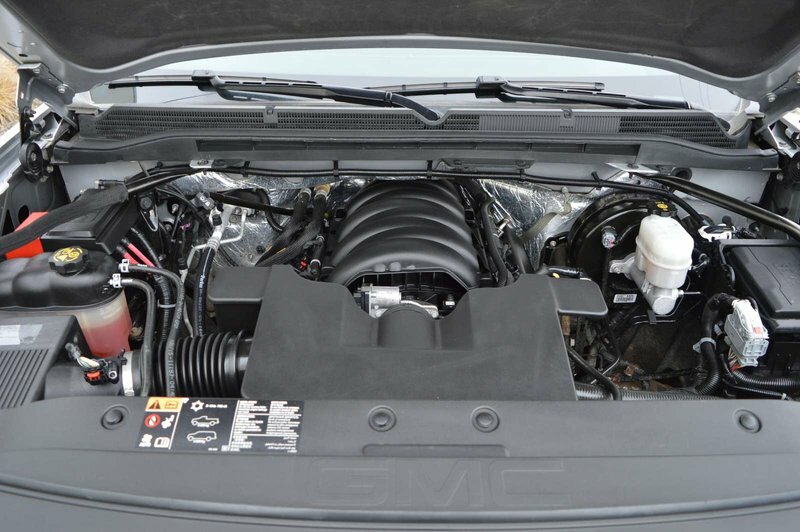 It's powered by a 5.3 Liter V8 delivering 355hp while combined with a tough working 6 Speed Automatic transmission electronically controlled with overdrive and Tow/Haul mode. 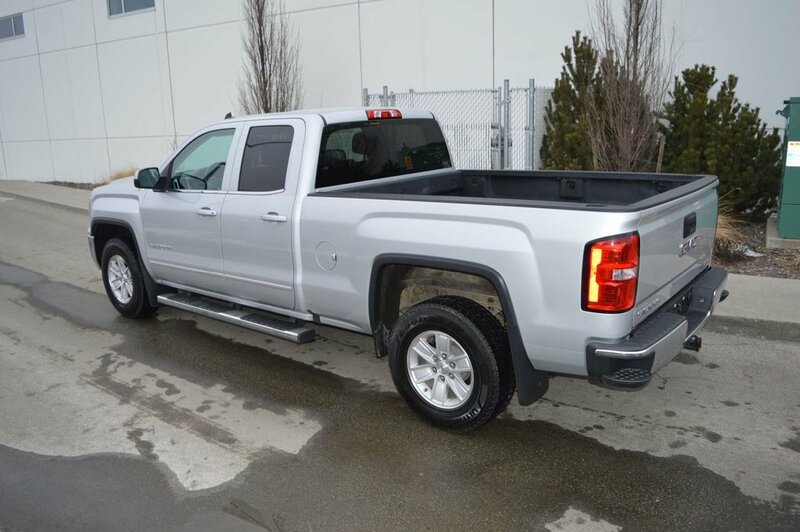 Our no-nonsense Four Wheel Drive truck fills your needs with great hauling and towing capability and scores near 22mpg. 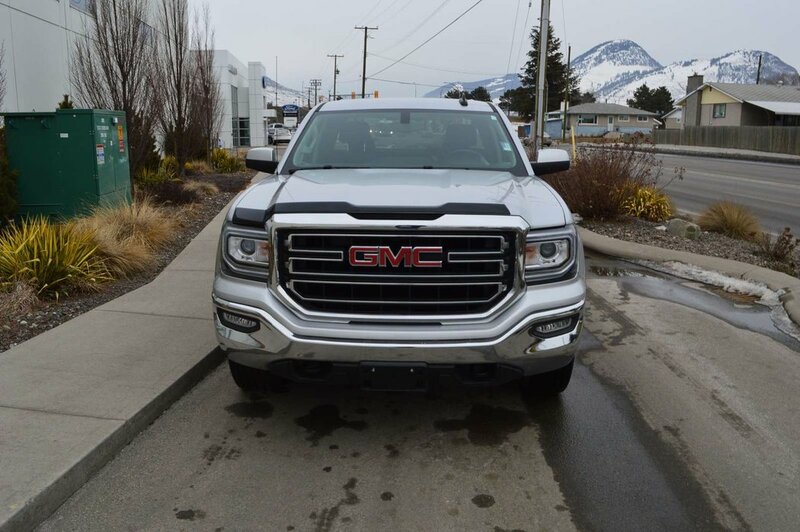 The chiseled physique of our hard working Sierra 1500 SLE has a distinct grille, daytime running lights, running boards, EZ-lift and lower tailgate, a remote locking tailgate, and CornerStep chrome rear bumpers. 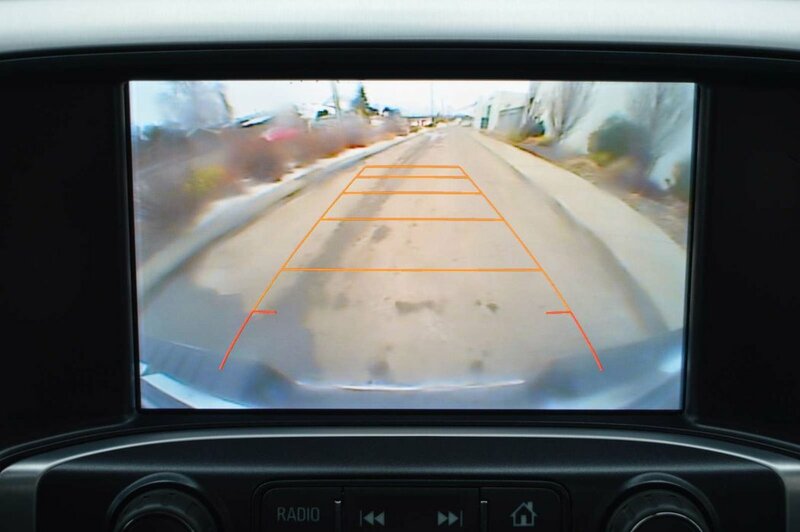 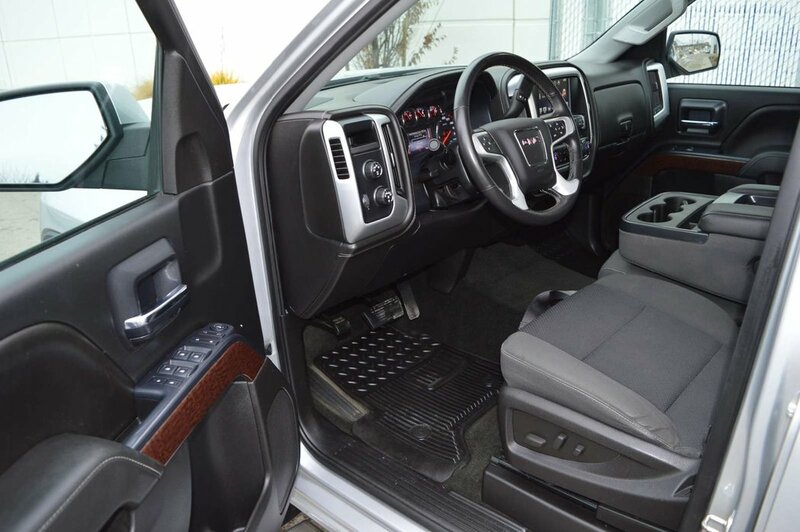 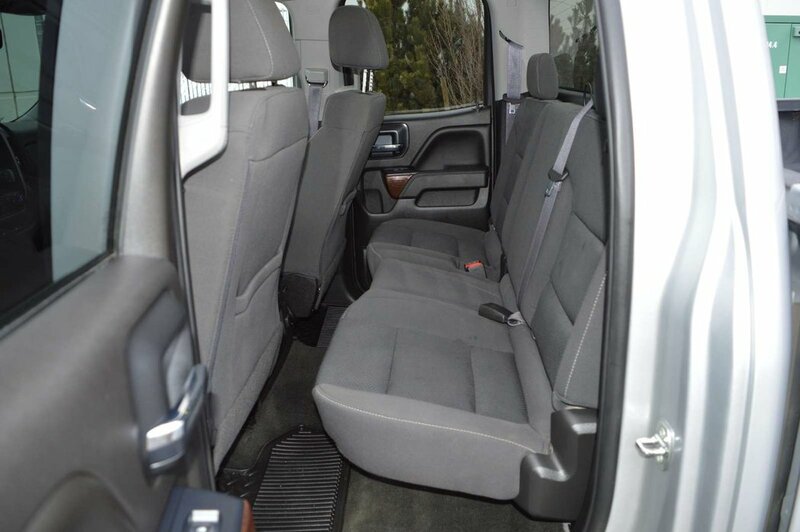 Step up to this SLE workhorse to see that the interior is practical and comfortable with durable seats, remote keyless entry, steering wheel audio controls and full power accessories. 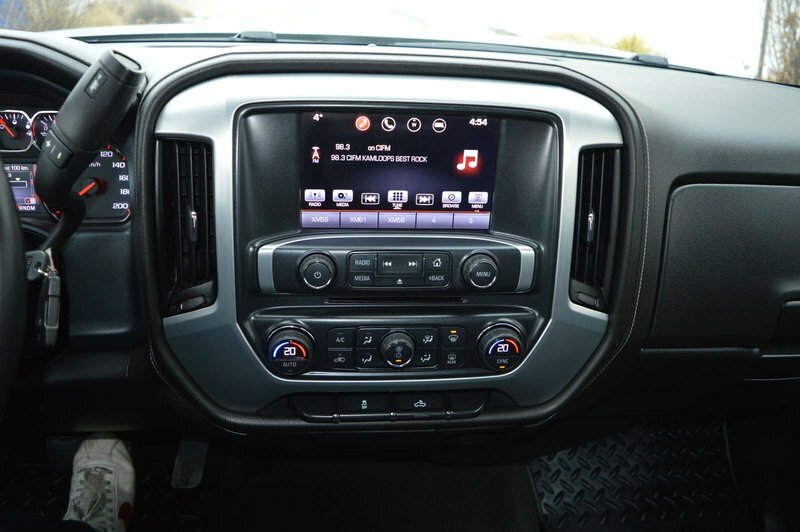 Check out the color touch screen with IntelliLink, AM/FM/SiriusXM, HD Radio with USB ports, auxiliary jack, Bluetooth, and available WiFi. 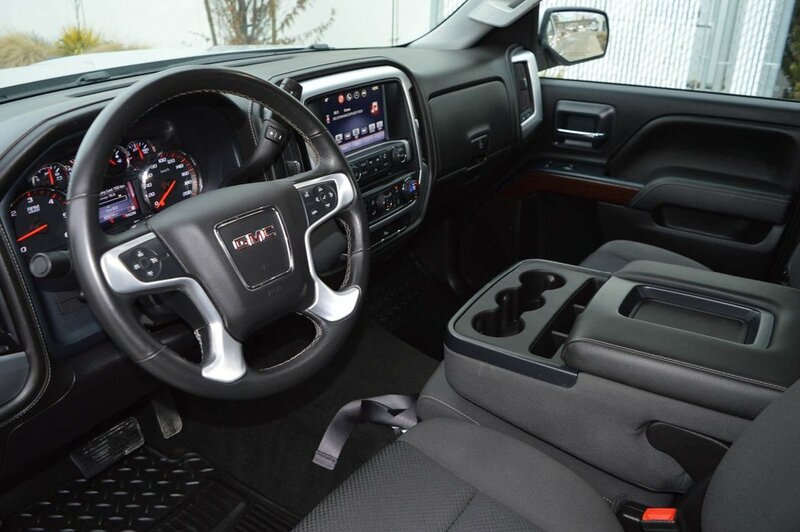 For work or play, this truck is a solid choice!